I love these kinds of posts that deal with writers and their methods. 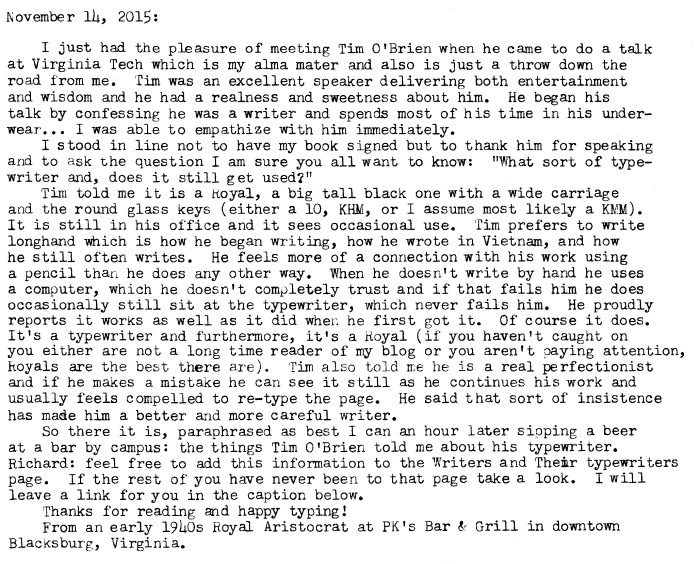 Always good to hear how a writer does his or her writing. I love my Royal protables. Can't say the same for the HHs I have. They are brutes that have features not found on other typewirters, but not as smooth to use as comparable Underwoods. I really need to get a Royal 10 or KHM. Duly added! With a link to your report. Thanks.